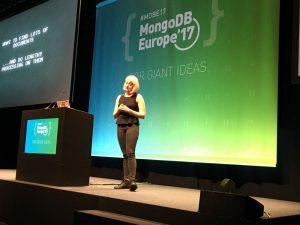 We had a great time at MongoDB World in Chicago last June, so we decided to go on another field trip – this time much closer to home – to attend MongoDB Europe, the biggest MongoDB event on this side of the Atlantic. 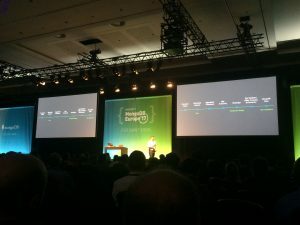 MongoDB CTO Eliot Horowitz kicked off the daylong event in London with a keynote session that unveiled new features in MongoDB 3.6, Atlas, and Stitch. 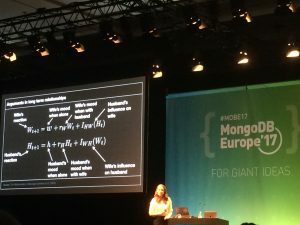 Mathematician Hannah Fry followed it up with an entertaining talk about patterns in human behavior. For example, did you know that the equation used to look at how couples argue has also been used to help predict an arms race? We sure didn’t, but we’ve since learned to keep that negativity threshold low! 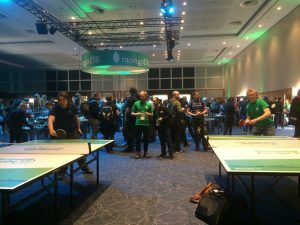 Attendees also had a chance to unwind in between sessions at the MongoDB and sponsor booths, and at the ping pong tables where the action got quite fierce. Shoutout to our very own Piotr for placing 3rd, and to Thomas for winning this year’s MongoDB Europe table tennis tournament! 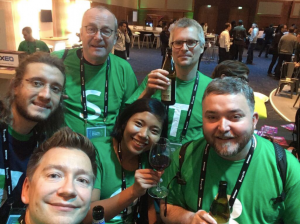 We sure had a blast at MongoDB Europe. Didn’t make it to London this year? 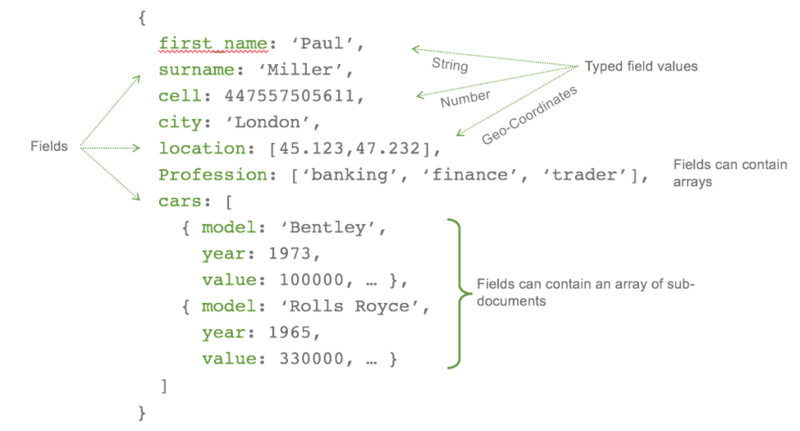 No worries, you can find a few videos and presentations from the #MDBE17 sessions here.